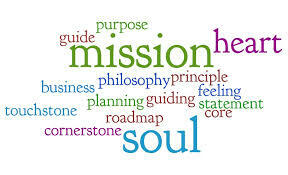 Find the mission statement of a company you know. See if your experience is in alignment with what they intend to do. Then check out your choices: how you spend your time, your energy, your money. Do they line up with your mission? We can manifest our experience by integrating intention with action.